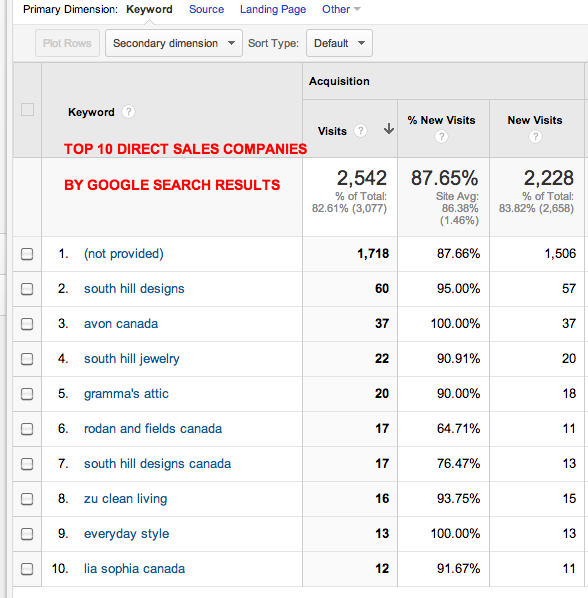 I am always fascinated when checking my Google analytics statistics to see which direct sales companies are being search more online. 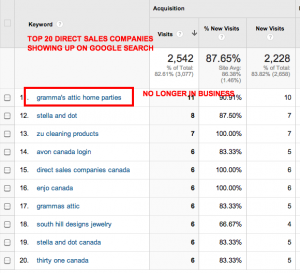 Google Analytics is a neat tool I used to see organic (meaning, not paid) traffics to my site and which of the direct sales companies listed on my site are being found out. To show you what I mean, here is a snapshot of the Top 10 Companies. If you are looking into joining a direct sales company and is wondering which one is more popular, this might help you. 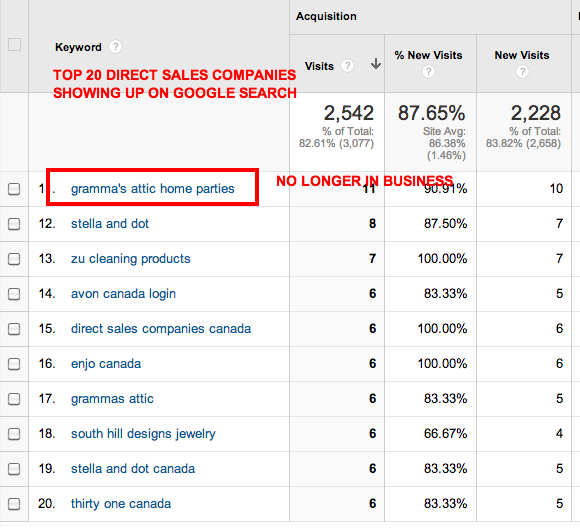 Although it’s not the whole picture, it could give you some idea how many people are searching for that company. You want to join a company that is a little known. Here’s the snapshot of the TOP 20. Seriously looking at joining a direct sales company? After being in this industry for 3 decades and joining over a dozen or so companies, I’ve wasted some money and made some. And if there is one thing that I wish I knew then is to have an overview of which company can help me ensure I become successful. I only found out later on this book. It is a MUST READ book if you are thinking of joining Direct Sales or Network Marketing. dddLove this post? Signup for updates… it’s FREE!